Welcome to the true Caribbean! Trinidad and Tobago is a dual-island nation in the southern Caribbean, located a mere 7 miles off the coast of Venezuela. Life in Trinidad is much more fast-paced than in Tobago, which is more laidback and serene. 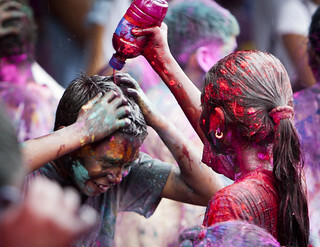 Trinidad is where the action is – festivals, shopping, nightlife and business. Tobago is all about sitting back and allowing the sun to caress your skin as you relax on its white-sand beaches, waves gently lapping at your feet; or exploring the many fantastic dive sites around the island. Both islands boast great biodiversity, just waiting to be discovered in our dense rainforests, rivers, oceans, bamboo groves and mangroves, which abound with hundreds of species of flora and fauna, including 450 types of birds. Trinidad is home to 17 species of hummingbirds, which explains why its earliest inhabitants named the island, Iere – the Land of the Hummingbird. 'Trinibagonians' are also proud of our hospitality and the unique mixture of different cultures which have resulted from our animated history. Comprising a mix of descendants of people from American Indian, African, East Indian, European, Middle Eastern and Chinese origin, Trinidad and Tobago’s rich heritage is reflected in our vibrant culture through our food, festivals, customs and general way of life. Our most famous festival is the annual Carnival, the second largest Carnival in the World. The biggest part of its allure is that anyone can purchase a masquerader’s costume and participate in the 2 days of revelry on the streets. Both islands have developed reputations for incredible fusion cuisine, which reflect our multicultural heritage. The island of Tobago is an ideal tourism destination within the Caribbean because of its natural beauty and the friendliness of its people, along with the historical and natural tourist sites and attractions. 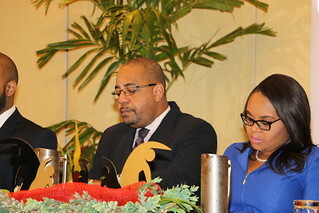 The Tourism sector is the largest employer on the island outside of the Tobago House of Assembly. With tourism-related sectors as a share of Tobago's GDP at 13% in 2016, we continue to promote the destination as one of the best tourism islands in the Caribbean. 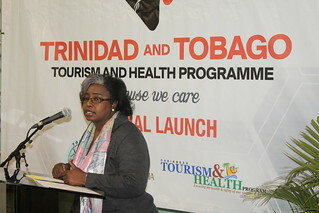 We are committed to developing the island’s tourism industry and as a result, we embrace the success of the Tourism Health Programme as we strive to boost Destination Tobago’s visibility in the international travel market.